The cold and flu season guide for all Australians in 2017. Sneeze frame: The Vicks guide to surviving the worst flu season in years. You know what I’m talking about. That week you spent in bed downing chicken soup as if it were actual medicine (spoiler alert: it’s a myth! It’s just the heat and hydration that helps). But in all seriousness, this influenza outbreak has been a shocker. More than 75,000 laboratory-confirmed cases of the four active strains of virus have been reported this year across Australia, with around 50,000 of them from July and August, according to the Department of Health’s National Notifiable Diseases Surveillance System. And that’s only the numbers from the people who’ve visited the doctor. The real number would be much higher. Yikes. So just how bad is this year tracking? Doctors are already predicting it will surpass the 2015 record of 100,000 cases, making it the worst spread in 15 years. Everything from cold and dry weather to high rates of infection among children have been contributing factors. The classroom is where many germs get spread. Image: Getty. How is this comforting if you, your loved one or little one have been holed up indoors for days in a foeta position? Well, you&apos;re not suffering alone. You can still get a flu shot. And you can definitely take extra care of yourself at home too. 1. Aim for seven to eight hours of sleep every night. It&apos;s important to keep your night sleeping patterns up, even if they&apos;re a little all over the place during the day. 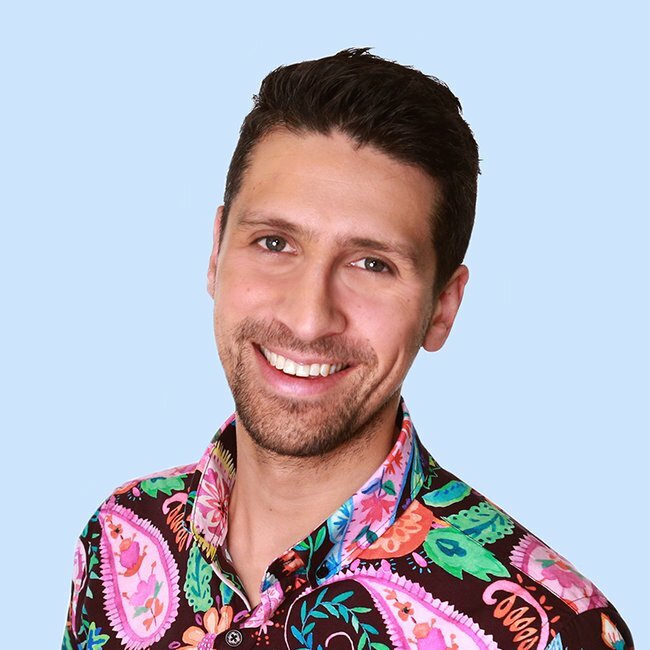 "This is not a luxury but a vital time that your body needs to repair cells and maintain your immune system in a healthy state," says Dr Singh. For a better sleep, Vicks VapoRub is a hard little worker. 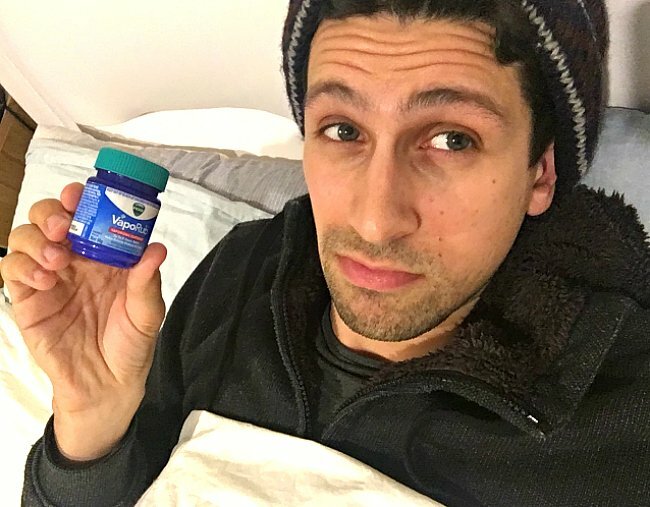 Just a little rub on the chest or throat can help relieve nasal congestion for up to eight hours - and I can personally say it&apos;s done that for me in my recent bout of man flu (see the photo above). A pro tip from me? Whack a bit of VapoRub in a bowl of steaming water and wrap a tea towel over your head to breathe in the menthol and eucalyptus smells. Voila! Clearer sinuses and the actual possibility of an easier sleep. Note for parents: The baby equivalent of VapoRub is Vicks Baby Balsam, which is specially formulated for babies from three months to help soothe them and improve their night&apos;s sleep. Stress can have a negative impact on your immune system. Dr Singh says that the simple act of taking it easy can "fortify" your body against the cold and flu viruses. Another personal tip: For those times when I&apos;m not sick enough to be at home but still have flu symptoms following me around, I keep a few VapoDrops lozenges on hand for the days when I need my voice at work. Which is pretty much every day in media. Another favourite among my friends and colleagues is the Vicks inhaler, which is an effective quick fix for a stuffy nose in this dry weather. 3. Humidify the air indoors. A little moisture in the air goes a long way. Dr Singh says humidifiers can help with clearing secretions, soothing airways and breaking up mucus. There&apos;s less of that dry, scratchy throat, and a little more love for your respiratory system. 4. Pick the right over-the-counter products. Colds and flus can have many symptoms, so it&apos;s important to not double up on medications. "While simple analgesics can tackle the aches and pains, colds are multi-symptom conditions, therefore multi-symptom relief (MSR) products should be considered reducing the need for multiple medications," Dr Singh says. The Vicks Action Cold & Flu range has a clinically proven combination of Paracetamol, Phenylephrine and Chlorpheniramine that offers relief for the six most uncomfortable symptoms of colds and flu: blocked noses, runny noses, sore throat, fever and headache, body aches and sneezing. Familiar with these? Ugh, unfortunately yes. You don&apos;t have to suffer the whole way through the flu. Image: Getty. It&apos;s especially vital during cold and flu season to keep your liquids up. Keep that jug on hand, because your body needs hydration to fight the infection. 6. Keep a balanced diet. Not just chicken soup - although that and hot drinks are good for soothing the throat. Your immune system needs extra help to recover. Dr Singh adds that you should "ensure you have plenty of fresh food and vegetables in your diet" during flu season. None of the above are substitutes for check-ups at the doctor, but they all help to fight the bigger battle we&apos;ve got on our hands. Speaking of hands - make sure to wash them regularly with soap and water. That&apos;s one easy way to make sure you&apos;re keeping flu-safe. According to Health Direct, handwashing is one of the key ways to prevent catching the dreaded flu, along with getting the flu shot, sneezing and coughing into tissues and throwing them out immediately, cleaning surfaces like phones and door handles, not sharing cutlery or cups, and avoiding sharing towels where possible. And please, for heaven&apos;s sake, don&apos;t go to work or school if you&apos;re contagious. Take it easy, folks. Have you caught the flu this season? What&apos;s your tip for getting better? This content was created with thanks to our brand partner Vicks.